With an introduction by four-time Oscar nominated filmmaker Michael Mann. 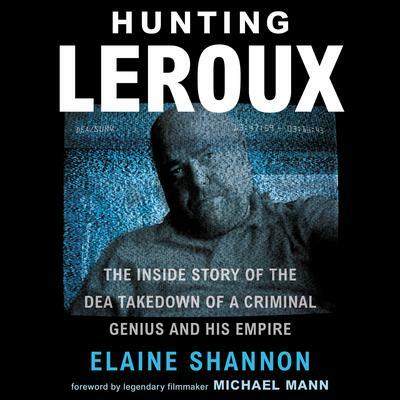 For five years Elaine Shannon immersed herself in LeRoux’s shadowy world. 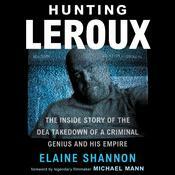 She gained exclusive access to the agents and players, including undercover operatives who looked LeRoux in the eye on a daily basis. Shannon takes us on a shocking tour of this dark frontier, going deep into the operations and the mind of a singularly visionary and frightening figure—Escobar and Victor Bout and Jeff Bezos rolled into one. She puts you in the room with these people and their moment-to-moment encounters, jeopardy, frustration, anger and small victories, creating a narrative with a breath-taking edge, immediacy and a stranger-than-fiction reality.